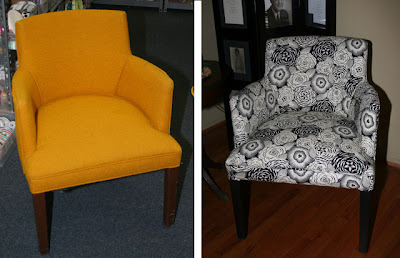 If your chairs need a little makeover to spruce them up and give them a new look then this tutorial from jcaroline is exactly what you need. I wished I had chairs in my apartment (except for the wooden kitchen chairs) so that I could do this project . Yet I am reminded that I am living the meger life of a college student, Ramen anyone?